The country is teaming up with the World Food Programme. The UN’s Global Goals to end extreme poverty by 2030 include action on putting an end to hunger for good. Afghanistan’s latest commitment is a great step in that effort. You can join us by taking action here in support of the Global Goals. 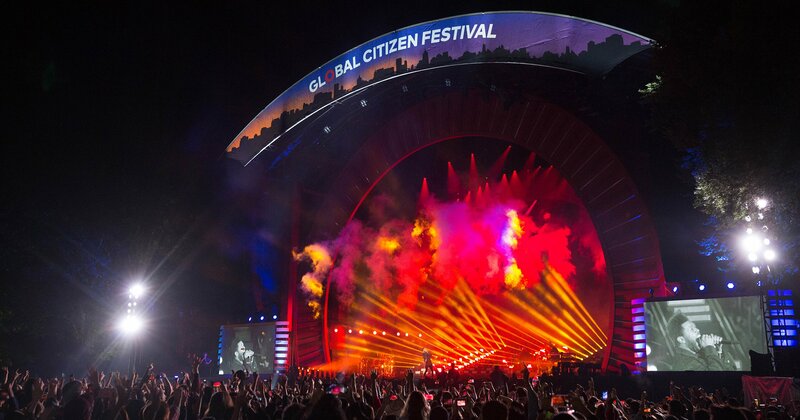 The government of Afghanistan made a historic commitment on the Global Citizen Festival stage in New York City — heralding a “new era” of Global Citizen commitments. Dr. Abdullah Abdullah, chief executive of the Islamic Republic of Afghanistan, announced that Afghanistan would be teaming up with the World Food Programme (WFP) to deliver much-needed food assistance to those affected by drought in the country. It’s the first time a country has committed on the Global Citizen stage to take action on an issue affecting those in extreme poverty in its own country. The Weeknd performs at the Global Citizen Festival in Central Park on Sept. 29, 2018 in New York. Abdullah announced that the government would be partnering with WFP to distribute 60,000 metric tons of wheat flour, worth $18 million, to reach up to 2.5 million people in all 20 affected provinces across the country for a period of six months from October. WFP will mill, fortify, and distribute the flour to people affected by drought, and will add additional food commodities to the distributed food baskets, including fortified vegetable oil, pulses, iodized salt, and specialised nutritious foods for children under the age of five. The partnership is supported by USAID, and by contributions from the UK and Australia as well. WFP has supported the most vulnerable families in drought-affected areas across Afghanistan since the first signs of the impact of the drought emerged in late 2017. But now that the number of people who require urgent assistance is increasing, WFP is ramping up its response. It has already provided assistance to 441,000 people in the five worst-affected provinces: Badghis, Faryab, Ghor, Herat, and Jawzjan. But now, thanks to the new commitment from Afghanistan, that operation can be expanded.